Beautiful... Well Built And Specification Techniques With Respect ! Without Doubt A Great Release ! A Great Competitor From The Height Apple IPad 4 ! P.S: Congratulations SONY... What Will Bear Availability In Europe, Usa And South America (Mainly Brazil) !!! Very pretty as usual with Sony devices, but I hope it will perform and get much better FW support than the Xperia Tablet S, Tablet S and Tablet P, the latter seems to have been completely forgotten, and the other two seems to still be on 4.0.4 with no word of 4.1.2. I've been put off Android tablets due to lack of content, as well as lack of high quality and well optimized apps/games/eBooks/Magazines etc... We seem to be treated as an after thought by the developers when it comes to tablets. I hope Sony do what Amazon did and create their own store with stuff made for their tablets, as it would be great to have apps take full advantage of that incredible display. A very nice tablet but I suspect it will be very expensive. I wouldn't be surprised if this was priced higher than most. It's a premium product, good specs and very slim, one of the slimmest tablets around. There is a fair amount of buzz and chatter regarding international release. In my opinion, enough to have reasonable hope on a fairly quick affair. I do hope we see 32GB worldwide though. Even with microSD, 32GB is better and more flexible in what you do with the thing. if only this bad boy pumped out a resolution comparable to apple's retina or even the Nexus 10.. i think it would do better. being thinnest and waterproof isn't enough to make it a winner, i think. i think people obsess more about resolution and pixel density when it comes to full size tablets.. but that's my opinion. would have been nice if they had put glass on the back of this too to make it ultra premium feel and match it perfectly with the Z phone, but i guess they were going for lighter weight. 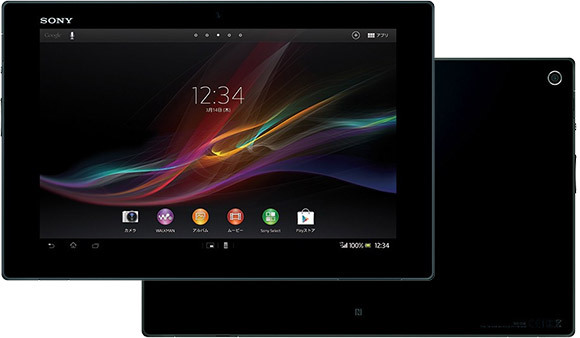 i like it, but not enough to make me a tablet user and if sony can't do it. no one will. What's the battery size as it is thin? ?